Your space is an extension of you, and it can affect your mood. A cluttered, messy, inconsistent space can make you feel exactly the same way. On the other hand, revamping your home to reflect your personality and aspirations can have a positive and peaceful effect on you, especially when you return to your space after a long day. 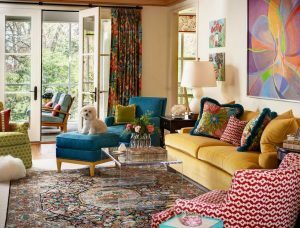 If redecorating is part of your long list of New Year resolutions, then it’s time to get familiar with the interior design trends gaining momentum this year. We’ve got the first word on everything from wall colour and flooring, to furniture and upholstery. Which ones match your aesthetic the most? 2019 is the year of colour, and there’s no space that needs brightening up as much as your kitchen. Say good bye to minimalist tiles, dark wooden cabinets, and pale decor. 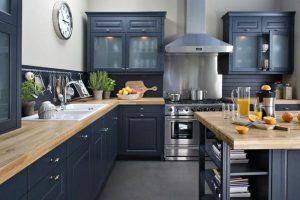 Incorporate a calming, homely blue shade into your cabinets. Blue cupboards and cabinets can make your kitchen feel more vibrant without looking OTT — Over The Top. They also don’t require as extensive a renovation as changing up the tiling, for example. Like we said: simple, monochromatic kitchens are a thing of the past. Add statement colours and styles to this space with bold colours or patterned tiles. 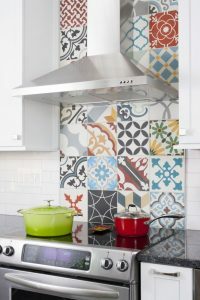 Patterned tiles are the best option for a striking backsplash this year. Marble and plain ceramic is still a classic choice for kitchen countertops. However, we’ll be seeing a change in the tones of marble. 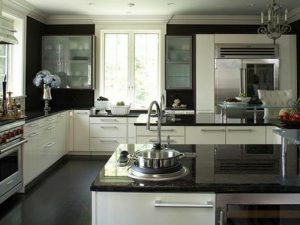 Instead of the decades old whites and greys, darker coloured countertops are gearing up to be all the rage. Hints of opulence and luxury aren’t limited to five star hotels — give your regular bathroom a lavish update. 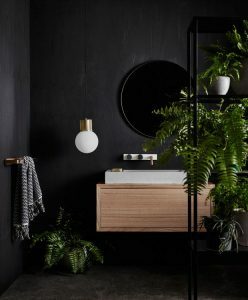 Darker bathrooms are a bold choice, and will have a major moment in the coming year. If all black everything isn’t your cup of tea, try sticking to black hardware to begin with. 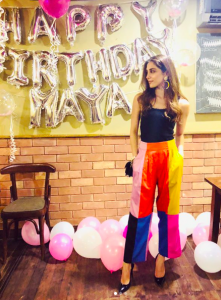 It’s best to contrast dark shades with bright ones here. Tiles, tiles, and more tiles – a rule to remember while revamping your bathroom. Completely tiled bathrooms give your bathroom a cooler feel, both literally and aesthetically. 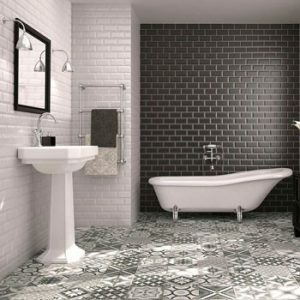 Complementing tile designs give much needed dimension to the entire bathroom. Statement vanities and countertops are catching our eye this year. 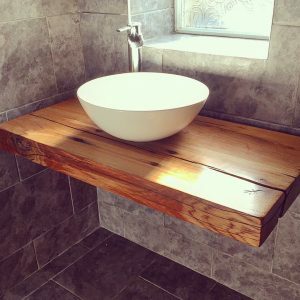 No matter how small your bathroom is, a floating sink is likely to give the illusion of more space. Bright wallpaper on a single wall looks great, but what about the other walls? Instead of focusing on one wall to make a statement, elevate the whole space by adding subtle, textured wallpaper all around. Feel like royalty in your room — 2019 marks the return of this classic bed style. 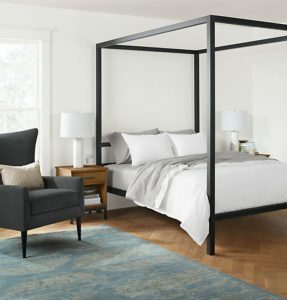 Whether it’s a traditional canopy bed or a modern one, this style usually works with almost every kind of bedroom design. Sustainability should be on your mind this year, even with interior design. 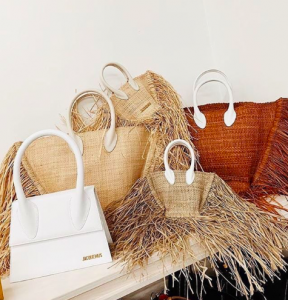 Pieces made with materials like jute, for example, will be high in demand. Be it a shelf, chair, or swing, there are various ways to incorporate eco-friendly furniture into your home. 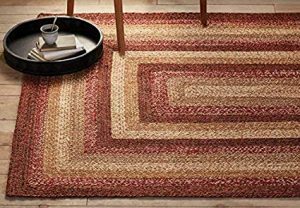 The trend is ideal for small spaces, because it incorporates style without making a room feel congested. 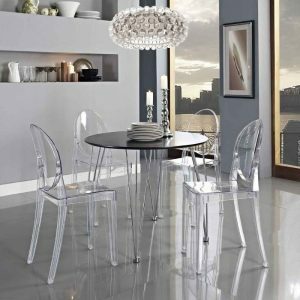 Include acrylic centre tables, dining tables, or chairs, and match them with non-acrylic items to create the illusion of a more spacious room. After a bit of a break, wooden flooring is set to make a return this year. 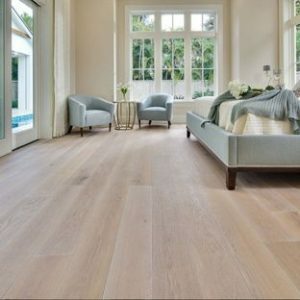 For those that prefer airy, visually spacious rooms, light-wood flooring is perfect. The advantage of light-coloured floors is that they reflect more light, brightening up a room and giving it a more luxurious feel. Florals don’t seem to be going anywhere! If your sense of style veers more towards the vintage and classic, then floral patterns are perfect for your home. Play it up by using contrasting colours and exaggerated proportions, and use these prints on statement pillows, wallpapers, or rugs even.